Finally, all your essentials can fit in one bag. The fashion world's love affair with microscopic slings that could barely hold an iPhone was beyond real—read that again, but with emphasis on the past tense. 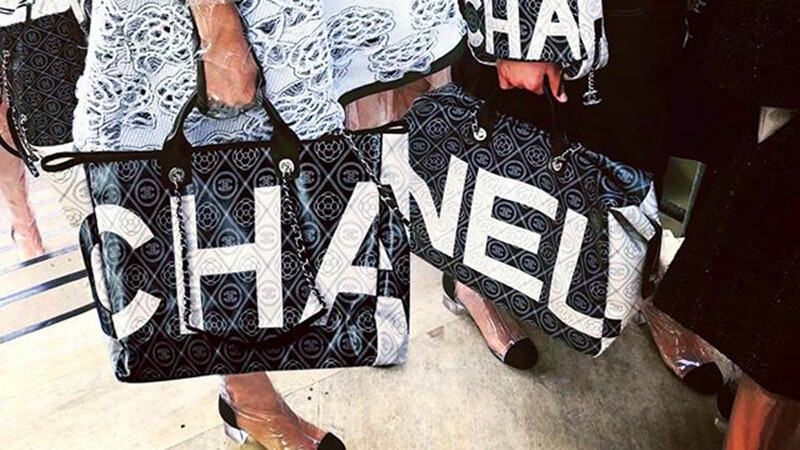 It's official: big bags are back on the scene, and (literally) larger than life! Need evidence? Check out Chanel's reinvention of their classic Gabrielle satchel. Gone are the days of playing clutch tetris and never really winning—Will my wallet fit? Should I leave it behind in favor of my eyelash curler?—feel free to lug around all fifteen of your favorite lipsticks with you, plus your planner, a whole bottle of micellar water, your lunch, and your pet chihuahua, while you're at it. Celine Spring 2018 supports your heavy-duty decision. Bigger is better this time around!